What causes chronic kidney failure? Does kidney failure cause pain? What procedures and tests diagnose kidney failure? Is there a diet for kidney failure? What foods should be avoided? Which are OK to eat? 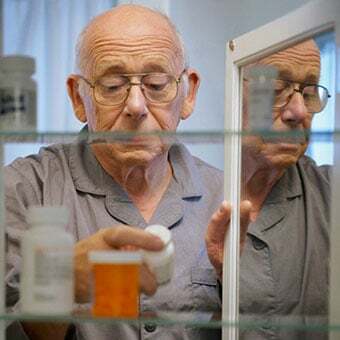 What medications treat kidney failure? 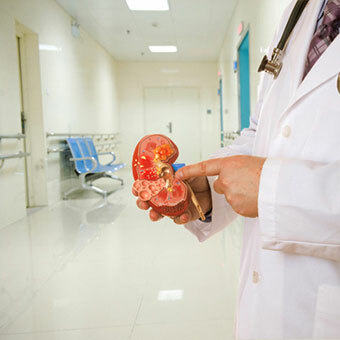 What is the prognosis and life expectancy for kidney failure? Can it be prevented? Symptoms of kidney failure are due to the build-up of waste products and excess fluid in the body that may cause weakness, shortness of breath, lethargy, swelling, and confusion. Inability to remove potassium from the bloodstream may lead to abnormal heart rhythms and sudden death. Initially kidney failure may cause no symptoms. Treatment of the underlying cause of kidney failure may return kidney function to normal. Lifelong efforts to control blood pressure and diabetes may be the best way to prevent chronic kidney disease and its progression to kidney failure. As we age, kidney function gradually decreases over time. 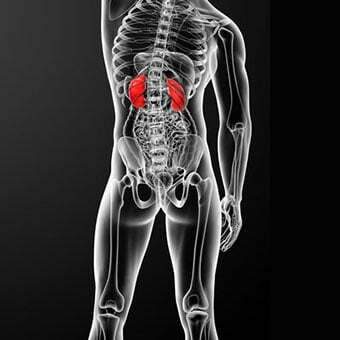 The kidneys play key roles in body function, not only by filtering the blood and getting rid of waste products, but also by balancing the electrolyte levels in the body, controlling blood pressure, and stimulating the production of red blood cells. When blood flows to the kidney, sensors within specialized kidney cells regulate how much water to excrete as urine, along with what concentration of electrolytes. For example, if a person is dehydrated from exercise or from an illness, the kidneys will hold onto as much water as possible and the urine becomes very concentrated. When adequate water is present in the body, the urine is much more dilute, and the urine becomes clear. This system is controlled by renin, a hormone produced in the kidney that is part of the fluid and blood pressure regulation systems of the body. Kidneys are also the source of erythropoietin in the body, a hormone that stimulates the bone marrow to make red blood cells. 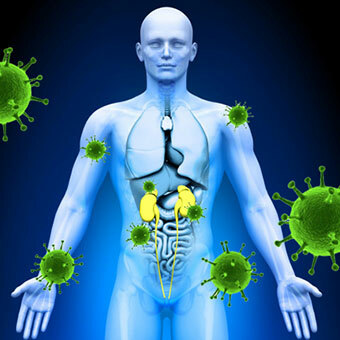 Special cells in the kidney monitor the oxygen concentration in blood. If oxygen levels fall, erythropoietin levels rise and the body starts to manufacture more red blood cells. Urine that is made by each kidney flows through the ureter, a tube that connects the kidney to the bladder. Urine is stored within the bladder, and when urination occurs, the bladder empties urine through a tube called the urethra. In acute renal failure, kidney function is lost rapidly and can occur from a variety of insults to the body. 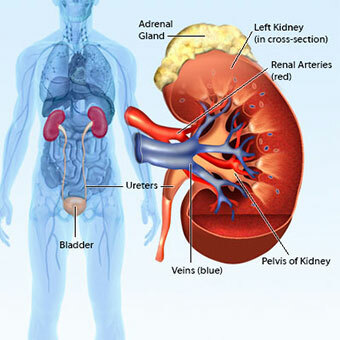 Since most people have two kidneys, both kidneys must be damaged for complete kidney failure to occur. Fortunately, if only one kidney fails or is diseased it can be removed, and the remaining kidney may continue to have normal kidney (renal) function. 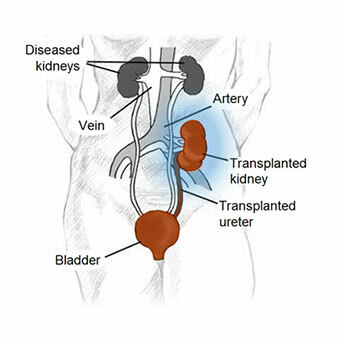 If a both patient's kidneys are injured or diseased, a donor kidney(s) may transplanted. Sepsis: The body's immune system is overwhelmed from infection and causes inflammation and shutdown of the kidneys. This usually does not occur with simple urinary tract infections. Rhabdomyolysis: In rhabdomyolysis there is significant muscle breakdown in the body, and the damaged muscle fibers clog the filtering system of the kidneys. Massive muscle injury may occur because of trauma, crush injuries, and burns. Some medications used to treat high cholesterol may cause rhabdomyolysis. Hemolytic uremic syndrome: This condition results from abnormal destruction of red blood cells. It most often occurs in children after certain infections, but also may be caused by medications, pregnancy, or can occur for unknown reasons. Obstruction of the bladder or the ureters can cause back pressure because the kidneys continue to produce urine, but the obstruction acts like a dam, and urine backs up into the kidneys. When the pressure increases high enough, the kidneys are damaged and shut down. Prostatic hypertrophy or prostate cancer may block the urethra and prevents the bladder from emptying. Kidney stones. Usually, kidney stones affect only one kidney and do not cause kidney failure. However, if there is only one kidney present, a kidney stone may cause the remaining kidney to fail. Kidney failure in itself does not cause pain. However, the consequences of kidney failure may cause pain and discomfort in different parts of the body. Patients who are on dialysis may have discomfort when on the dialysis machine. 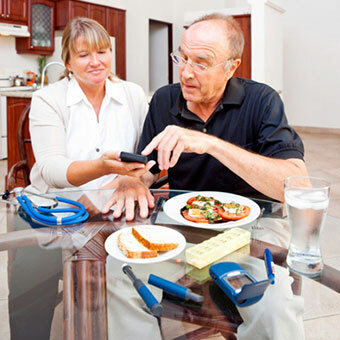 People with poorly controlled diabetes may develop diabetic neuropathy pain. People who have peripheral vascular disease also may have pain in their extremities, and may develop claudication (leg pain that occurs with walking). Often, a patient is seen for another medical condition and the diagnosis of kidney failure is a consequence of the patient's disease or injury. In patients with chronic kidney disease due to diabetes, high blood pressure, or another related medical condition his or her medical care team most likely monitors kidney function as part of the his or her routine long-term medical care plan. 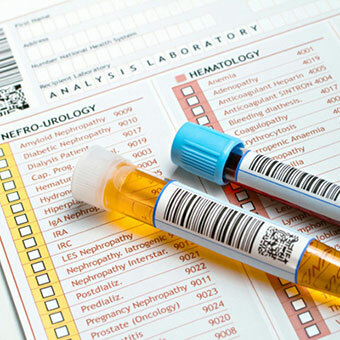 Diagnosis of kidney failure can be confirmed by blood tests such as BUN, creatinine, and GFR; that measure the buildup of waste products in the blood. Urine tests may be ordered to measure the amount of protein, detect the presence of abnormal cells, or measure the concentration of electrolytes. Prevention is always the goal with kidney failure. Chronic diseases such as hypertension (high blood pressure) and diabetes are devastating because of the damage that they can do to kidneys and other organs. 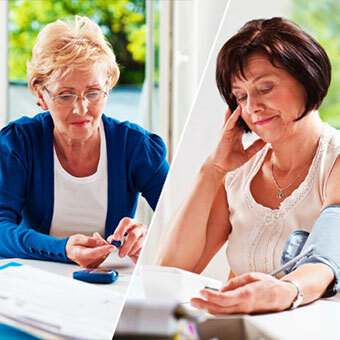 Lifelong diligence is important in keeping blood sugar and blood pressure within normal limits. Specific treatments depend upon the underlying diseases. Diet is an important consideration for those with impaired kidney function. Consultation with a dietician may be helpful to understand what foods may or may not be appropriate. Once the kidneys fail completely, the treatment options are limited to dialysis or kidney replacement by transplantation. Dialysis cleanses the body of waste products in the body by use of filter systems. There are two types of dialysis, 1) hemodialysis, and 2) peritoneal dialysis. Hemodialysis uses a machine filter called a dialyzer or artificial kidney to remove excess water and salt, to balance the other electrolytes in the body, and to remove waste products of metabolism. Blood is removed from the body and flows through tubing into the machine, where it passes next to a filter membrane. A specialized chemical solution (dialysate) flows on the other side of the membrane. The dialysate is formulated to draw impurities from the blood through the filter membrane. Blood and dialysate never touch in the artificial kidney machine. For this type of dialysis, access to the blood vessels needs to be surgically created so that large amounts of blood can flow into the machine and back to the body. Surgeons can build a fistula, a connection between a large artery and vein in the body, usually in the arm, that allows a large amount of blood flow into the vein. This makes the vein swell or dilate, and its walls become thicker so that it can tolerate repeated needle sticks to attach tubing from the body to the machine. Since it takes many weeks or months for a fistula to mature enough to be used, significant planning is required if hemodialysis is to be considered as an option. If the kidney failure happens acutely and there is no time to build a fistula, special catheters may be inserted into the larger blood vessels of the arm, leg, or chest. These catheters may be left in place for weeks. 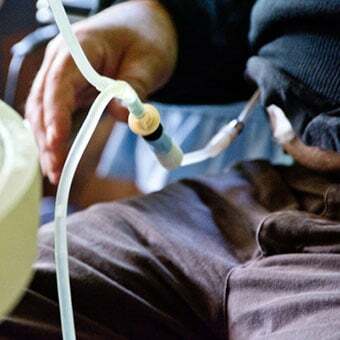 In some diseases, the need for dialysis will be temporary, but if the expectation is that dialysis will continue for a prolonged period of time, these catheters act as a bridge until a fistula can be planned, placed, and matured. Dialysis treatments normally occur three times a week and last a few hours at a time. Most commonly, patients travel to an outpatient center to have dialysis, but home dialysis therapy is becoming an option for some. Outpatient dialysis is available on some cruise ships. They are equipped with dialysis machines with trained health care professionals ready to care for those with kidney failure while traveling. Peritoneal dialysis uses the lining of the abdominal cavity as the dialysis filter to rid the body of waste and to balance electrolyte levels. A catheter is placed in the abdominal cavity through the abdominal wall by a surgeon, and it is expected to remain in place for the long-term. The dialysis solution is then dripped in through the catheter and left in the abdominal cavity for a few hours after which, it is drained out. During that time, waste products leech from the blood flowing through the lining of the abdomen (peritoneum), and attach themselves to the fluid that has been instilled by the catheters. Often, patients instill the dialysate fluid before bedtime, and drain it in the morning. There are benefits and complications for each type of dialysis. Not every patient can choose which type he or she would prefer. The treatment decision depends on the patient's illness and their past medical history along with other issues. Usually, the nephrologist (kidney specialist) will have a long discussion with the patient and family to decide what will be the best option available. Dialysis is lifesaving. Without it, patients whose kidneys no longer function would die relatively quickly due to electrolyte abnormalities and the buildup of toxins in the blood stream. Patients may live many years with dialysis but other underlying and associated illnesses often are the cause of death. If kidney failure occurs and is non-reversible, kidney transplantation is an alternative option to dialysis. If the patient is an appropriate candidate, the healthcare professional and nephrologist will contact an organ transplant center to arrange evaluation to see whether the patient is suitable for this treatment. If so, the search for a donor begins. Sometimes, family members have compatible tissue types and, if they are willing, may donate a kidney. Otherwise, the patient will be placed on the organ transplant list that is maintained by the United Network of Organ Sharing. Not all hospitals are capable of performing kidney transplants. The patient may have to travel to undergo their operation. The most successful programs are those that do many transplants every year. While kidney transplants have become routine, they still carry some risk. The patient will need to take anti-rejection medications that reduce the ability of the immune system to fight infection. The body can try to reject the kidney or the transplanted kidney may fail to work. As with any operation, there is a risk of bleeding and infection. Kidney transplants may provide better quality of life than dialysis. After one year, 95% of transplanted kidneys are still functioning and after five years, the number is 80%. It seems that the longer a patient is on dialysis, the shorter the life of the transplanted kidney. If the transplanted kidney fails, the alternative is another kidney transplant or a return to dialysis. The outlook for kidney failure depends upon the underlying condition that caused it. 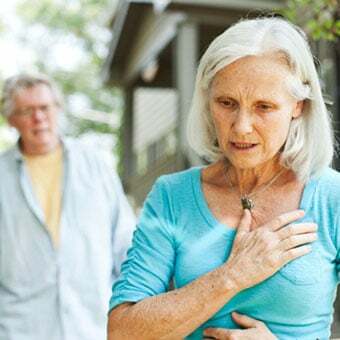 Kidney function may return to normal, especially if it is due to an acute obstruction and that obstruction is relieved. Other causes of decreased kidney function leading to kidney failure are due to underlying disease and occur slowly over time. Prevention is the best chance to maintain kidney function, and controlling high blood pressure and diabetes over a lifetime can decrease the potential for progressive kidney damage. Chronic kidney failure may be managed by to help monitor electrolyte and waste product levels in the bloodstream. 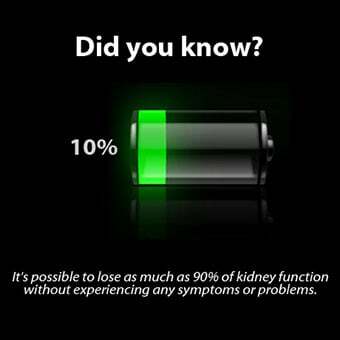 Major abnormalities can be life threatening, and treatment options may be limited to dialysis or transplant. REFERENCES: Jameson, JL, et al. Harrison's Principles of Internal Medicine, 20th ed. (Vol.1 & Vol.2). McGraw-Hill Education 2018. Workeneh, BT, MD. "Acute Kidney Injury." Medscape. Updated: Jul 19, 2018. NIH. "Amyloidosis and Kidney Disease." Updated: Sep 2014.